If you are submitting the editorial and are not the photographer, please confirm and present to us a permission/release form from the photographer that owns the copyright to the images. Team credits are essential for all submissions. If we have accepted your submissions and you provide the high resolution images without team credits, your submission will not be published. If for any reason a submission is published and a individual/s credit is missing, the person who submitted the feature will be held responsible. Conceptual and Artistic Editorial are highly encouraged for this issue. Beauty editorials must have a minimum of 3 makeup changes. Once an image/video is accepted to be published, it grants us the permission to use your work in any of our publications, websites, videos, marketing pieces, advertisements, and any other mediums or formats used in the creation, dissemination, and monetisation of FADDY Magazine. - Your work is either unsuitable or does not fit with the flow of the issue. - There is little or no space left for placement. - The quality of work is not high enough. - Wardrobe is repeated throughout the editorial. - You have not supplied enough images to create a full story. By submitting to FADDY Magazine, you agree to the above terms and agreements. 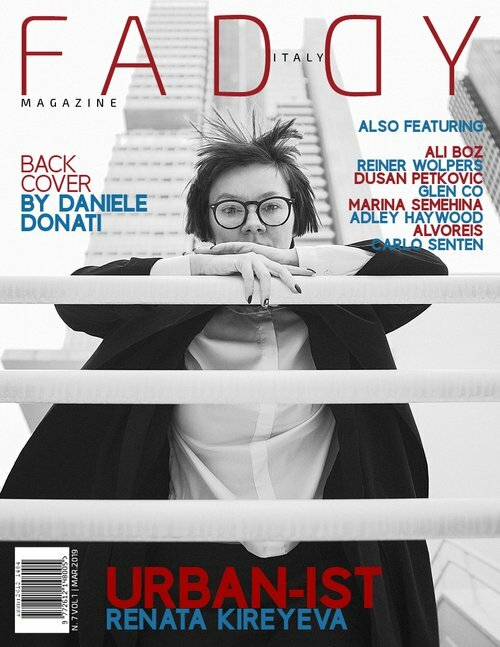 FADDY Mag is a High End Fashion, Beauty, Fine-Art & Conceptual Photography Magazine.